How do we interpret what we experience? The Lectionary reading for Pentecost Sunday takes up this question in a powerful way (Acts 1:1-21). What does this mean? That is a fundamental question, posed more than once in the Book of Acts, and posed countless times by Christians over the centuries. It is one thing to have an experience, it is quite another to determine what the experience meant. In the Acts passage, we are not told the content of what the Holy Spirit spoke, although there is a tantalizing reference to "God's deeds of power." This much is clear: the people hearing the Holy Spirit were from diverse ethnic and linguistic backgrounds. They heard the speech in their own language, but they did not know the meaning of what they heard. This is not surprising; it happens all the time. We hear a sermon and a room full of people come away with a diverse set of impressions and interpretations. What was the sermon about? folks wonder. Ask as many as you like, and you'll get slightly different answers. On the first day of the new semester, a colleague at Johns Hopkins University was approached by a student who, as it turned out, had just taken a course from me. She put to him what I think you would agree is a perfectly straightforward question: "Is there a text in this class?" Responding with a confidence so perfect that he was unaware of it (although in telling the story, he refers to this moment as "walking into the trap"), my colleague said, "Yes; it's the Norton Anthology of Literature," whereupon the trap (set not by the student but by the infinite capacity of language for being appropriated) was sprung: "No, no," she said, "I mean in this class do we believe in poems and things, or is it just us?" As you can see from Fish's anecdote, the interpretation of a sentence is slippery. Even what we call the literal interpretation is subject to several reasonable options. Was the student asking what the textbook would be for the class? Thinking so would be perfectly reasonable, and indeed, the most likely interpretation it would seem. But she meant something entirely different. Fish used this story not to show us that there are an infinite variety of interpretations, but that the range of meanings are actually quite narrow. We could exhaust the meaning fairly quickly based on the interpretative community to which the student belonged. So, rather than throw our hands up in despair when approaching the meaning of the text, we can be assured that the range of reasonable meanings are not truly infinite. In the Acts lesson, the quoted passage ends with the amazement of the diverse audience's reaction: "what does this mean?" But notice that others are instantly given to interpretation; they sneer and suppose that all the participants are "filled with new wine." Those used to the domesticated and orderly silence of tradition may think that the explosion of the Holy Spirit is simply the drunken ramblings of fools. Peter, however, understood the meaning quite differently. What a remarkable interpretation! What richness of meaning! Of all the meanings that could be drawn from the multiplicity of languages, Peter thinks of the Prophet Joel. It is a rather subversive passage, not one to be taken literally by the those opposed to letting women preach, for example. Joel says that men and women, slaves and free will see visions and prophesy. Those who oppose women preaching somehow read this passage right out of the Bible. But why did Peter think that Joel contained the hermeneutical key to the meaning of Pentecost? I suspect he looked out at the crowd of Gentiles and Jews, an ecumenical lot standing together, and saw for the first time that God speaks to all of God's children. The Holy Spirit cannot be contained. She descends and ascends, inflames and inspires where she likes. (The Hebrew word for spirit is ruach, and it is feminine). Of the range of meanings available to Peter, this one was the most beautiful and hopeful. It was also true. A happy coincidence. Peter would dream his own dream and prophesy in due course (Acts chapter 10), but he had to be open to the Holy Spirit first. May we be so open. Painting above, Michelangelo Merisi da Caravaggio, The Incredulity of Saint Thomas (1602), Sanssouci Picture Gallery in Potsdam, Germany. There are hundreds of sermons waiting to be preached in these rich verses. There is the little Pentecost of John, who is more interested in kairos time than chronos. 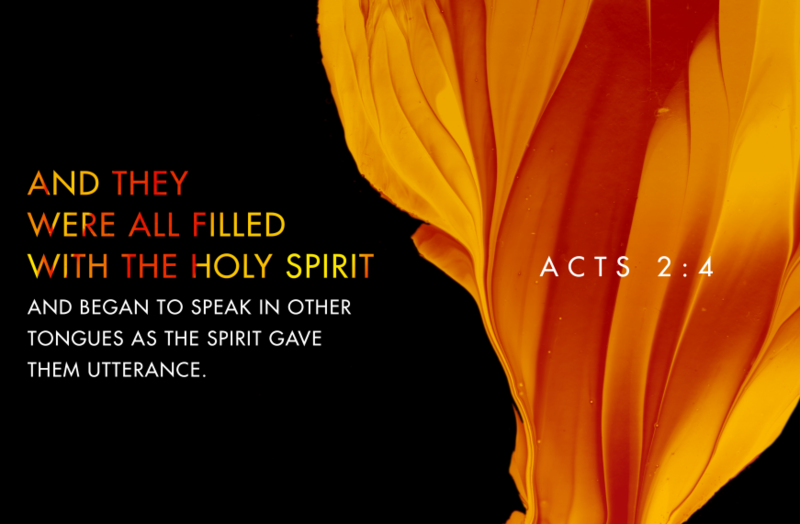 He places the outpouring of the Holy Spirit well before the day of Pentecost as described in Acts. Luke had two volumes with which to tell his story (Luke, then Acts), and perhaps John had less papyrus on which to tell his tale. There is the remarkably high Christology of John's confession: My Lord and My God! There is the general phenomenon of doubt, skepticism, and hard questions. Of great interest to me, as I read the passage anew this year, is the theologically rich image of the wounded Jesus. The painting by Caravaggio, probably dating from 1602, captures the prosaic and holy moment imagined in John. Jesus appears as a human being, without a halo or a company of angels. He is human, all too human. The older disciples peer over Thomas' shoulder, with furrowed brow, deep in concentration. Thomas has a look of utter astonishment. And yet, John never narrated this moment. There is always the possibility that what the text suggests is merely one of several multiverses. Perhaps when Jesus said Put your finger here...Thomas did in fact reach out. 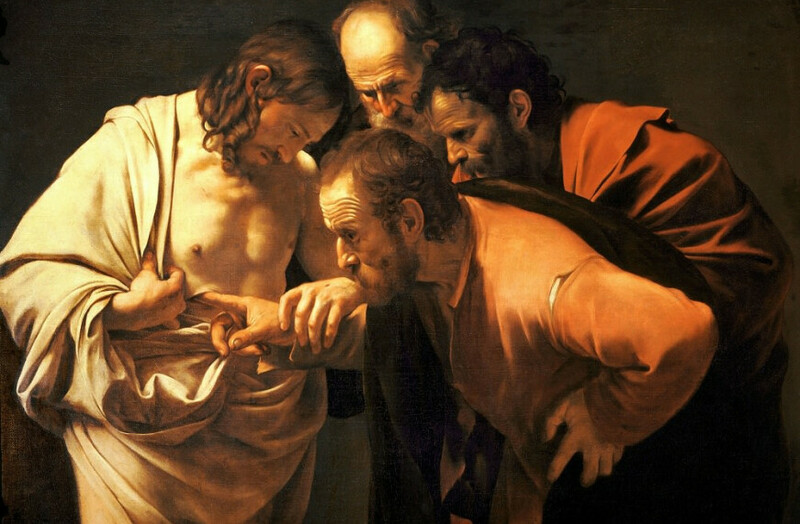 Caravaggio imagines Thomas actually poking his finger inside the wound. So much for hygiene, one of many anachronisms we could import into the text. But on the most literal reading of the passage, Thomas never touched Jesus. He didn't need to. Perhaps he felt the pressure of being in front of the other disciples. They, after all, had already believed in the risen Lord. Did they too physically touch the wounds, or was seeing enough? Perhaps Thomas did not want to go all the way through with calling Thomas' bluff. What do you make of the fact that Jesus appears with his wounds? On one level, as a Bible study participant pointed out last week, the wounds served the purpose of confirming to the disciples that this really was Jesus who appeared to them. He could walk through walls, so his body was different than yours and mine. And yet, that body bore the marks of the physical suffering from the Crucifixion. This Jesus really did suffer and die. His wounds were real, unlike the docetic Christology that would arise in the later years, supposing that Jesus only appeared to suffer and die. The Apostle's Creed says that Jesus "suffered under Pontius Pilate, was crucified, died, and was buried..." all highlighting the real historicity and corporeal nature of Jesus' suffering and death. There is another level in which we can see the wounds of Jesus, and this was the way in which I developed the meaning in my sermon. I asked, rhetorically, if Jesus still retained his wounds. Does Jesus, as he sits at the right hand of the Father (Hebrews 1:3), carry about on his resurrection body the wounds of the Crucifixion? Surely the second person of the Holy Trinity is capable of healing up wounds. God raised Jesus from the dead; could God not heal Jesus' wounds? I suggested, poetically, that Jesus retains his wounds so that he may be reminded of what it is like for a human being to suffer. Jesus is in solidarity with all humanity because Jesus became human in all respects. This will take some adjusting to for those who are inclined to see God as remote, abstract, unchanging, impassible. But at the heart of the Christian story is a God who suffers and dies. With a kindly countenance our good Lord looking into his side, and he gazed with joy, and with his sweet regard he drew his creature’s understanding into his side by the same wound; and there he revealed a fair and delectable place, large enough for all mankind that will be saved and will rest in peace and in love. I need to take some time to study Julian's writing, so I offer it here--acontextually--because it is a beautiful enough image to contemplate for the moment. The link between Jesus' wounds the salvation of humanity is not fanciful: it has deep roots in Scripture. He himself bore our sins in his body on the cross, so that, free from sins, we might live for righteousness; by his wounds you have been healed. 1 Peter 2:24. This theology is a re-working of Isaiah 53:5, But he was wounded for our transgressions, crushed for our iniquities; upon him was the punishment that made us whole, and by his bruises we are healed. And there it is: salvation comes through the suffering body of Jesus. Rather than imagine--as many have--that the sacrificial metaphor of this theological narrative is at root a deeply inhumane system, I believe it reveals a God who suffers alongside of humanity. Now, back to Thomas. Perhaps when Thomas saw Jesus' face, that was enough. He didn't need to go through with the ruse of actually touching the wound. After all, Jesus said the same thing to Thomas which he had said on Easter Day to the disciples sans Thomas: Peace be with you! A fitting benediction from Jesus. Not where were you when I was crucified? Why did you abandon me? No, he just said peace be with you. Our questions are legion. We are always adding to the list. Did the Resurrection really happen? Did it happen just like it was written? What about the differing accounts of the Resurrection in the Gospel narratives? How do we square our understanding of science with the proclamation of Resurrection? These merely touch the tip of the iceberg. 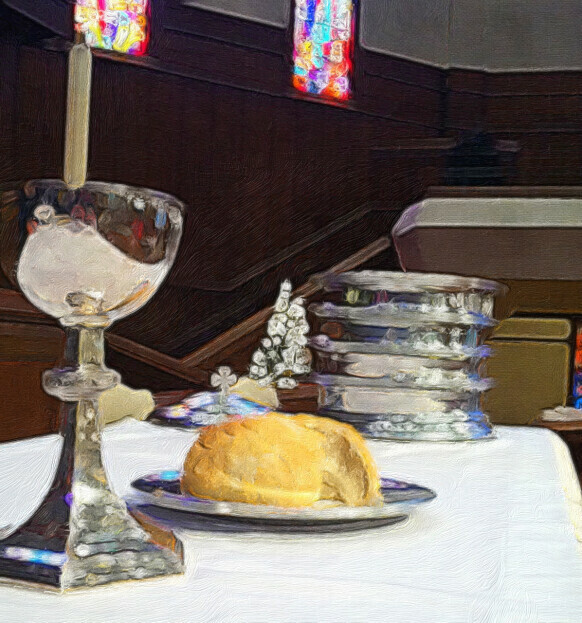 But in the face of the risen Lord, Thomas' questions melt away. He was not at peace. He had, after all, missed out on the Easter party. What he sought more than anything was the one thing he could not ask about: how to get peace in his life. And then Jesus showed up with this benediction: peace be with you. We are left to infer tone, facial expression, and the other various non-verbal gestures that give rise to meaning in human interaction. But I imagine however that was heard, what Thomas felt in his spirit was peace everlasting. May that be our response this Easter season. Ancient words. Words uttered millions of times in liturgical hope. Words that embrace life and death under the graceful hand of the Creator. Scientific cosmology tells us that humans share the same building blocks of life with the galaxy . Perhaps the first life emerged from a bit of space dust, the ashen remnants of a dead star. Literally, we are all stardust. In Genesis 2:7 God "formed man from the dust of the ground, and breathed into his nostrils the breath of life; and the man became a living being." Out of dirt God created the adam, and breathed God's spirit into the human. One day, the first adam would be buried in the ground. We share that destiny, from cradle to grave. A great chain of being, stretching back, linking all humans who have ever lived. And etched on our foreheads is the sign of the cross. 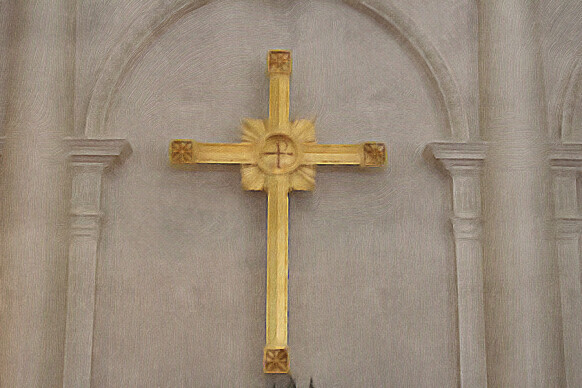 Before that first Easter Sunday, the cross was always and only a sign of death, destruction, and despair. There was not a hint of redemption in its bloody beams. But we know how the story ends. Or rather, how it begins. It begins not with the death of a failed messiah, but with the resurrection of our Lord. You can't have cross without resurrection. So when you take the sign of the cross on Ash Wednesday, know that it is a mixture of grief and hope, sin and redemption, death and resurrection which is etched on your forehead. A friend once told me during a time of profound moral crisis that "grace always trumps the law." 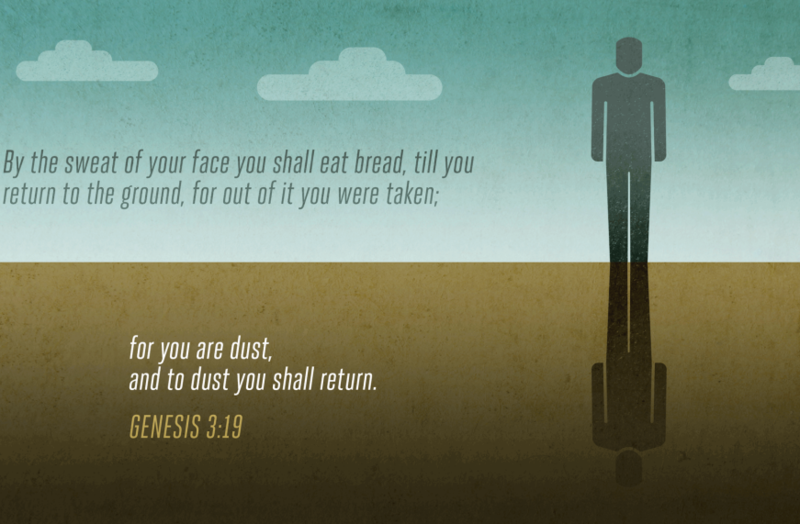 Take the ashes as a sign of God's unending grace. Take the ashes as the free offer of mercy, the assurance of pardon, through Christ our Lord. 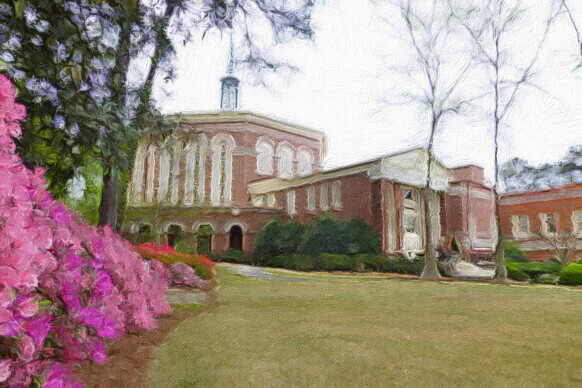 Senior Pastor James Lamkin and Associate Pastor Daniel Headrick contribute to the Northside Drive Baptist Church Blog.